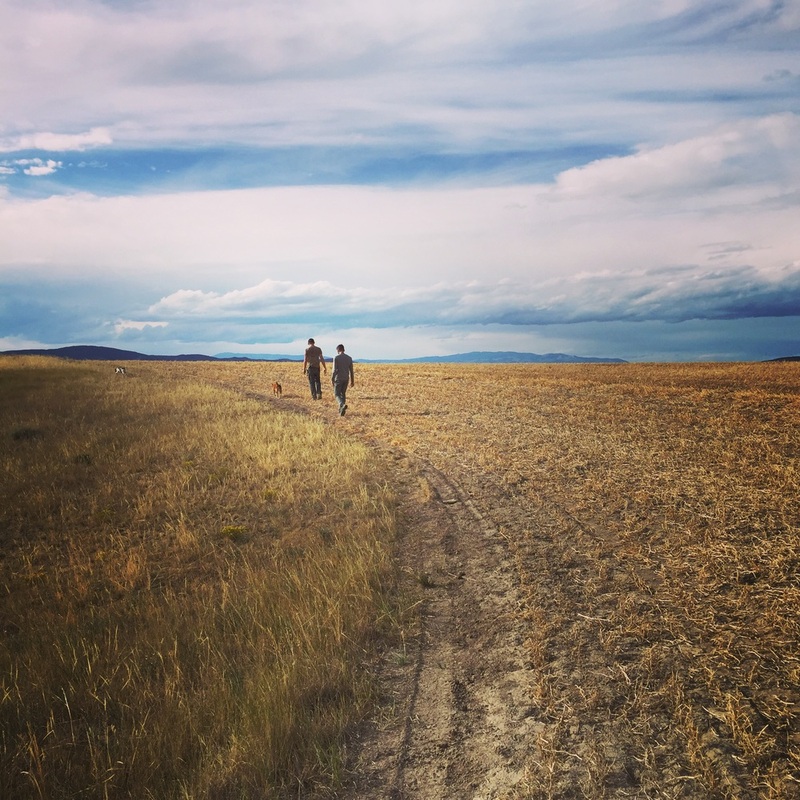 Day Four in Montana was full of hiking under that glorious big sky. We drove down to the Missouri River and hiked alongside it with my friends dogs, Sake and Sage, a shiba inu and German Shorthaired Pointer respectively. It was fun to watch them playing in the river and chasing critters in the brush. After lunch we explored Kevin and Sunny's 20 acres of land in Clarkson. I have to say I admire them for living off the grid out here. It's a ton of work and a serious lifestyle shift from when I knew them in Portland but I can imagine how satisfying it must be. Just hiking for miles on your own property and not seeing another soul. Our friend's place in Montana. Sage the German Shorthaired Pointer is learning to be a good bird dog. The boys hiking ahead in the field back to the house. The Missouri River bed- sans river. We are on the road again! Stay tuned for photos from Yellowstone and Glacier National Parks.